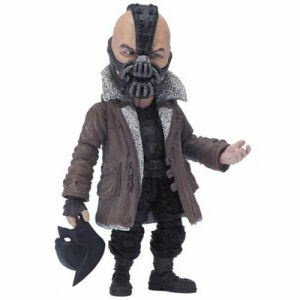 We have Just Sold out of Batman The Dark Knight Rises Bane Deformed Action Figure. This Item is unavailable at present. From the Batman collection by Union Creative. Batman The Dark Knight Rises Bane Deformed Action Figure. Action figure stands 5 inches tall. Bane comes with alternate arms - display stand - a Batman shattered cowl. Union Creative Batman Action Figures shipping from Canada. No Surprise Border fees or Customs!